Engine : 302 not sure what year need to pull it and run numbers before rebuild. Have another 302 out of an early 80's f150 going to go in it while rebuild taking place. Drivetrain : Stock c-6 with 3/4 ton transfer case and TTB Dana 44 and 8.8 rear. Would like to do solid axle swap up front with nine inch out back. Just not for sure about time and money stipulations. 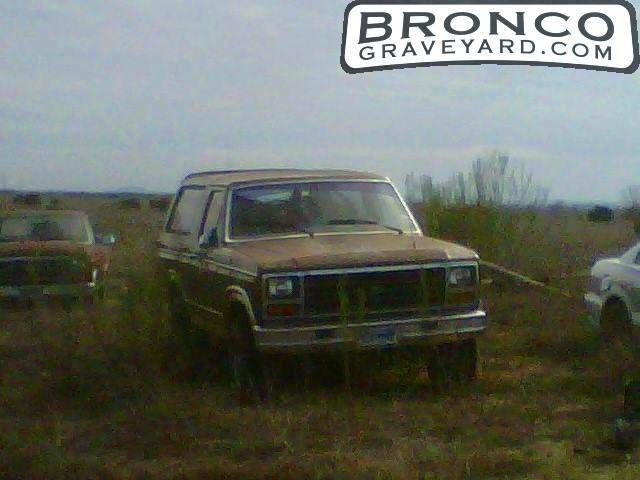 1984 bronco a little rough with restoration in the near future. Only one picture will post more later.